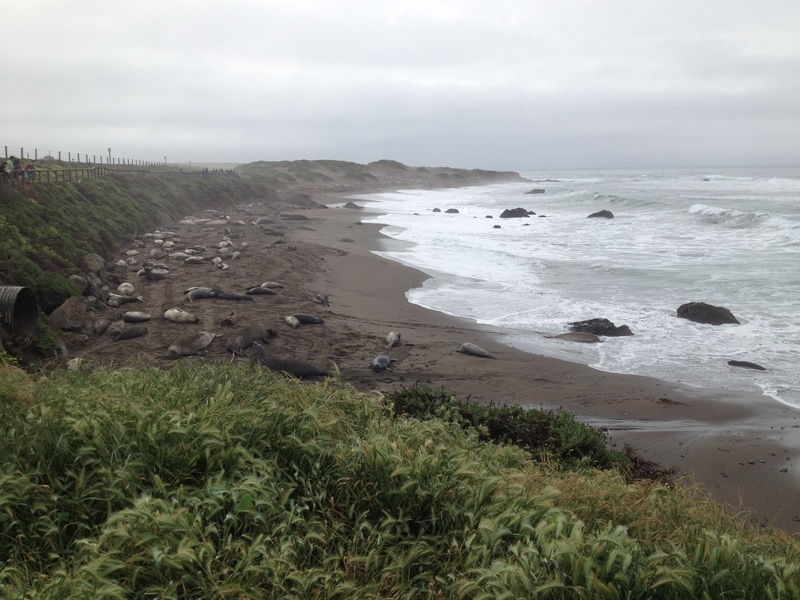 Can you see the elephant seals on the beach? I wasn’t sure what to write about for this week’s blog. I was tempted to write about my son’s perseverance when he plays basketball, and the fact that he attempts every shot my husband makes. But I’m not. Instead, I’m going to keep it short and true. I’m sad this week. My son is on spring break from school, and our family had plans to spend a few days in Cambria (one of my most favorite spots). Instead, we’re home. I cancelled our trip, because I haven’t been feeling well for most of this year. I cancelled our trip, because I’m not eating like I used to, and I don’t have the same energy like I used to. I cancelled our trip, because the pain has been worse in my legs, and I needed to be closer to home. We’re still all on spring break. We’re still all having fun.